R-Value Foam Insulation, LLC was founded by Mark and Greg Benaske as a team effort between brothers and continues to operate that way today. Customer service, innovation and safety are the pillars that sustain this company. Greg has a degree in Construction Management and Industrial Safety. Mark has over 25 years experience in construction and design and also holds the United States patent on the RVC. The Benaske Brothers are always attending seminars and training sessions to stay current on material studies. Combining both of their respective areas of expertise with a steady stream of product innovations has resulted in enduring customer relationships and a safety record unmatched in the industry. Contact R-Value Foam today for cost effective erosion control solutions. R-Value is always leading the way with innovative new idea’s to make spraying foam or restoration a faster and safer process. 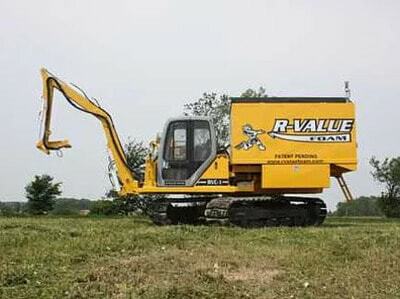 Our patent pending RVC shows the commitment that R-Value has made to furthering the objective of making our industry more efficient and friendly to the environment. Further proof of our commitment is illustrated by our perfect safety record. Call us now to put our expertise to work for you.